MPD is asking for the public's assistance to identify robbery two suspects who assaulted a victim about 9pm Jan. 2 in the 800 block of West Virginia Ave. NE. 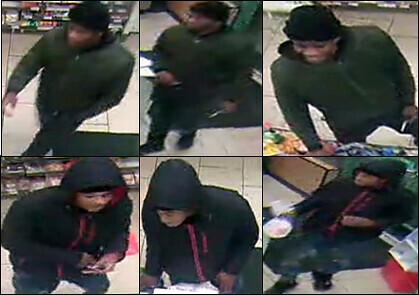 A nearby security camera captured images of the suspects. If you recognize either of these men (or have other information about this crime) you can call the police at 202-727-9099 or text them at 50411. You can remain anonymous. Crime Solvers of Washington, DC currently offers a reward of up to $1,000 to anyone who provides information that leads to the arrest and indictment of the person or persons responsible for a crime committed in the District of Columbia.